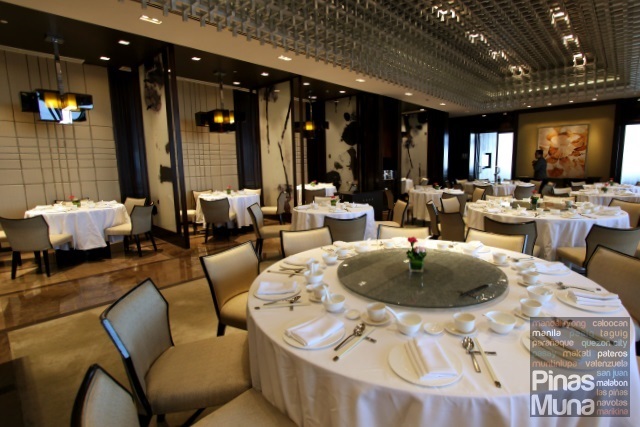 Lung Hin, the Cantonese restaurant of Marco Polo Ortigas Manila, has recently been awarded as one of the most outstanding Chinese restaurants outside of China at the 16th China Hotel Industry Golden Horse Awards Gala held in Guangzhou, China. To further demonstrate its dedication to offer only the most authentic flavors of Chinese cuisine, Lung Hin will be introducing new dishes in its menu with the help of Marco Polo Ortigas Manila's new Chinese Executive Chef, Leung Chi Kwan, or Chef Ken as he is called. Here are some of the dishes that you should look forward to at Lung Hin. 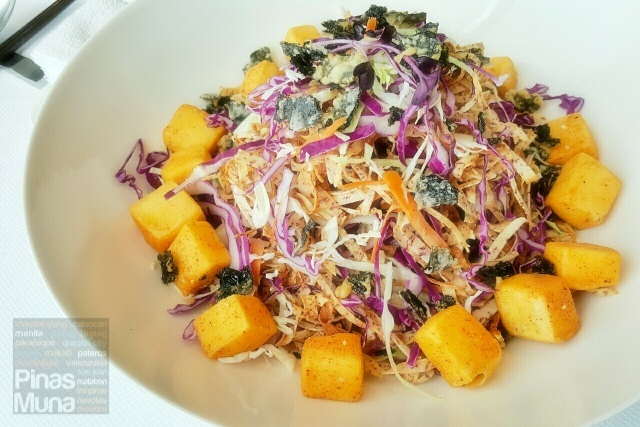 A beautiful contrast of textures, flavors and colors, the Deep Fried Crispy Tofu with Seaweed Salad is flavorful yet refreshing to the taste. The strips of taro add more crispiness to the salad while the julienned cabbage gives a refreshing finish to every bite. The dried seaweeds puts an Asian touch to the overall flavor of this dish. 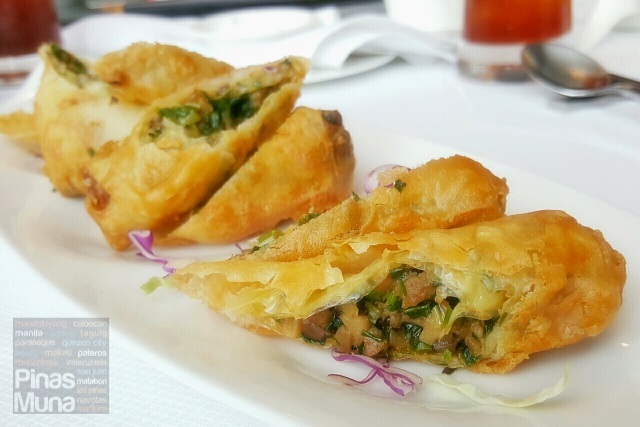 One of the our top favorites are the Deep Fried Beancurd Leek Rolls with XO Chili Sauce. Although deep fried, the beancurd rolls are not oily and they stay crispy. The meat and the leeks are perfectly blended with a well balanced texture and taste. The XO Chili Sauce delivers the authentic Chinese taste which you can further enhance by adding chili paste. 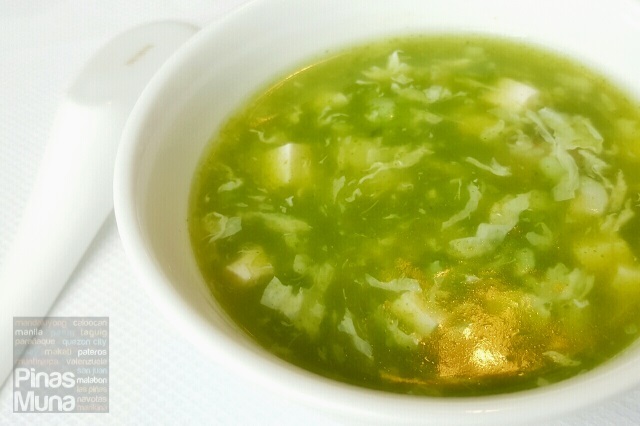 The soothing taste of the Spinach Seafood Soup will definitely heighten your appetite. Well balanced in flavor, the soup will just glide over your tongue and down your throat as you savor the seafood goodness of the broth with a hint of the fresh taste of spinach. The egg and the tofu add body and texture to the soup. Another favorite of ours are these Stir-fried Crystal Prawns. 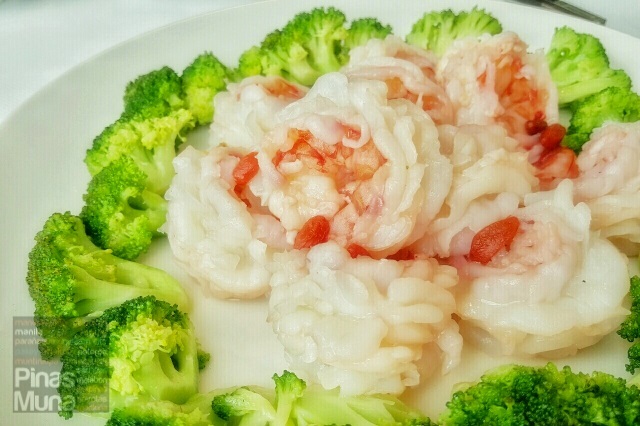 The giant prawns were beautifully sliced to resemble carnations made of crystals. The dish retained the fresh and naturally sweet flavor of the prawns. They are tender to the bite, moist and smooth. The broccoli gives a contrast in color, flavor and texture. I personally love the prawns with chili paste which brings out the exquisite flavor of the prawns. 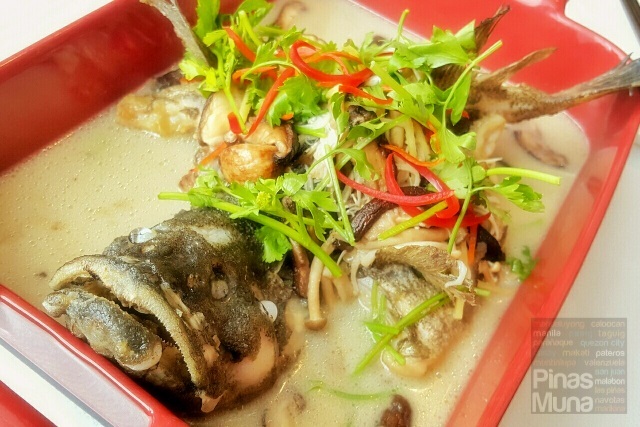 Served in a sauce with the rich flavor of the fish combined with the creamy and earthy taste of mushrooms, the Poached Live Garoupa with Mushroom is a great substitute to the more common steamed version of this dish. Garoupa or Grouper is locally known as Lapu-Lapu or Pugapo. Putting a creative twist to the traditional spareribs with garlic and pepper, the Deep Fried Spareribs with Black Vinegar Sauce is equally flavorful with a zesty-sweet aftertaste. 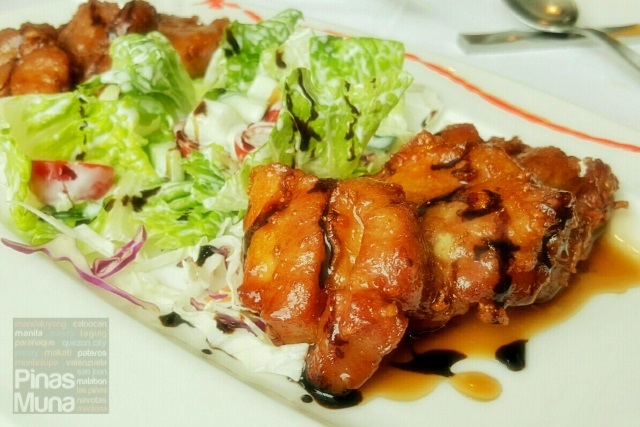 The accompanying salad refreshes the palate and prepares it for the next dish. 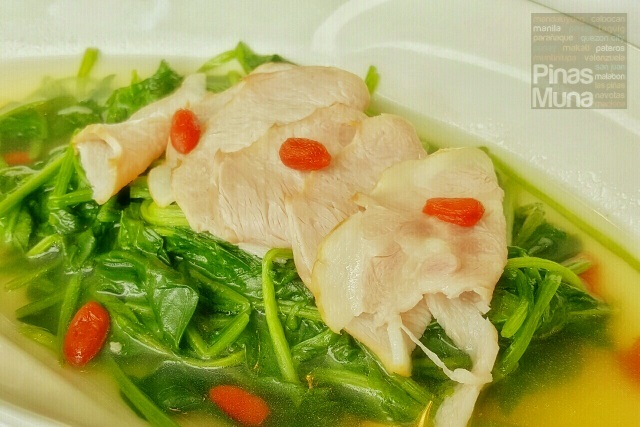 With its delicate and clean flavors, the Ham and Vegetables in Superior Broth offers a classic taste of Chinese ham matched with fresh spinach. 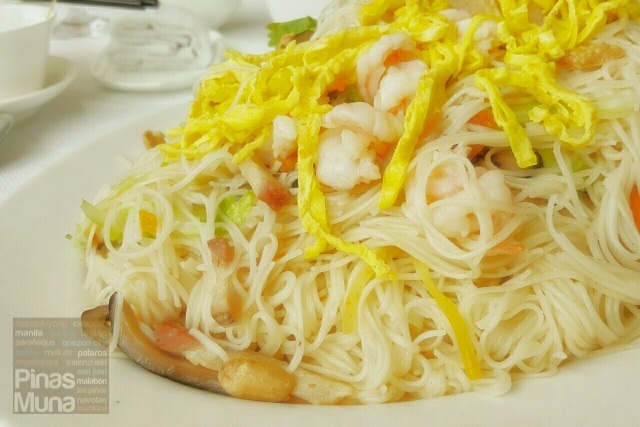 The result is an excellent mix of the savory and the refreshing taste of Chinese cuisine. A very simple yet comforting dish, the Fookian Misua brings a lot of childhood memories to all of us. Noodles perfectly cooked in a flavorful broth sans the overpower taste of soy sauce, this dish is never tiring to the taste buds. For an extra kick, you can mix in a teaspoon of chili paste to a cupful of this noodle dish. 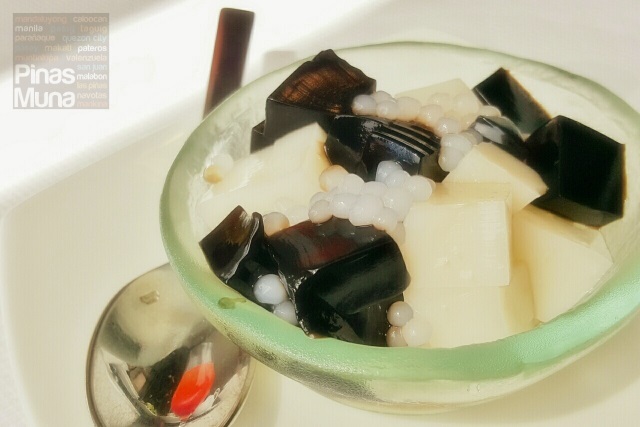 Finally, we had Chilled Mixed Jelly and Grass Jelly which combines the childhood flavors of grass jelly, almond jelly and sago. Indeed a sweet ending to this Chinese culinary affair at Lung Hin. On your next visit to Lunh Hin, do try out some of the new dishes prepared by Chef Ken together with your all-time favorites. 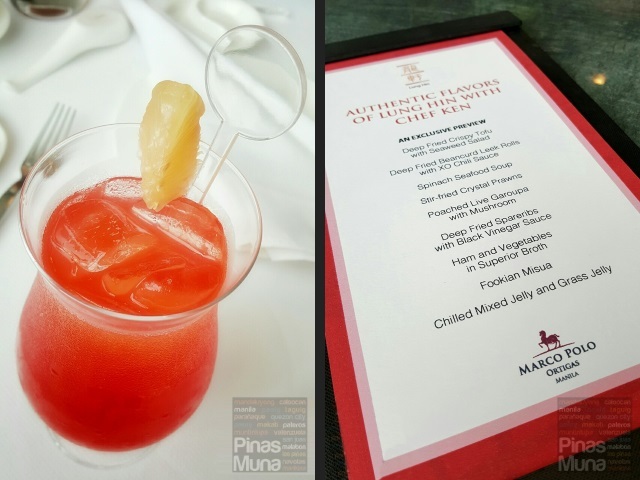 Lung Hin is located on the 44th floor of Marco Polo Ortigas Manila, along Meralco Avenue (right across Metrowalk Complex) in Pasig City. 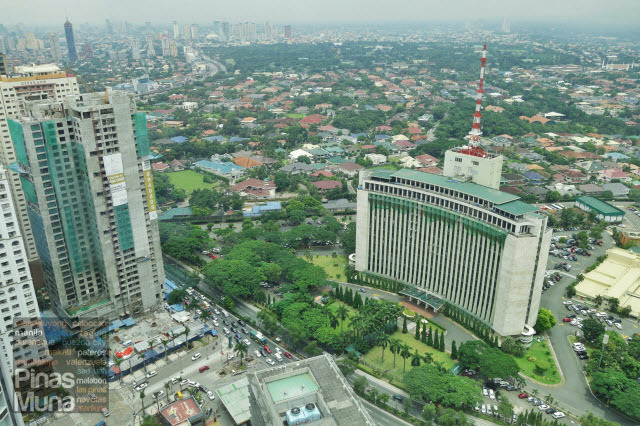 For reservations or inquiries, you may call +63 (02) 720-7720 or e-mail them at restaurant.mnl@marcopolohotels.com.